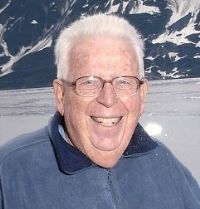 James A. Jones died March 12, 2018. He was born May 12, 1933 and grew up in Wickenburg, attended the U of A, graduating in 1957 from the College of Pharmacy. Jim married Janet Strahler in 1961, in addition to his wife, he is survived by their children, Michele Jones, Denise (James) Kleczka, Kevin (Sara) Jones, Patricia (Rick) Eveatt, Gregory (Michele) Jones and Linda (Curtis) Teets; thirteen grandchildren he loved and adored.